The life of a reigning Pope is punctuated by several speeches to deliver on all kinds of occasions. Yet not all speeches have the same weight. Some are more important than others for a variety of reasons, including biographical ones. The speech that Benedict XVI addressed to the Plenary meeting of the Sacred Congregation for the Doctrine of the Faith on January 27th belongs to a special type of event. Founded as the Inquisition to fight against heresies and errors both inside and outside the Church, this institution was subsequently given the task to help the Pope to “strengthen the brothers” according to Luke 22:32, that is promoting RC orthodoxy and taking action against deviations from it. In his long career at the service of the RC Church, Ratzinger was Prefect of the same Congregation from 1981 to his election to the papal office in 2005. For during the time throughout John Paul II’s reign, he has acted as the chief “enforcer” of the faith, as summarized by his biographer John L. Allen. So, this address to the members of the Congregation that he had lead for nearly 25 years was no ordinary task. For he knows very well both the structure, the people, and the issues that the Congregation is dealing with. The theme of this year’s Plenary meeting was ecumenism so Benedict XVI touched on some of the current ecumenical challenges for the RC Church. 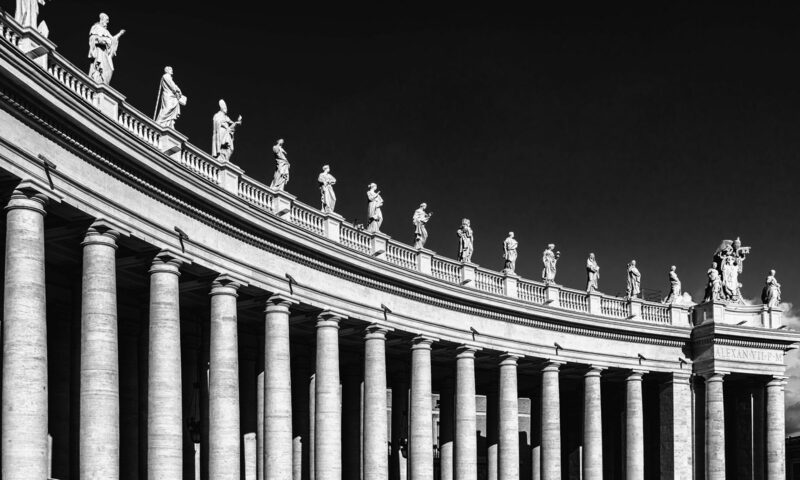 Before entering the analysis of present-day trends, Ratzinger says that the RC involvement in ecumenical affairs is to be “coherent” with regard to Vatican II and the “entire Tradition” of the Church. Ecumenism stems from what the RC Church believes in its dogmatic outlook, for it has no other theological framework than the traditional teachings. In light of this remark, the Pope argues that present-day ecumenism runs into two potential pitfalls: “false irenicism” and “indifferentism”. The former lowers the contentious points for the sake of peace but at the expense of truth; the latter downplays truth and faith and elevates other criteria as primary driving reference points for unity. The outcome of both “false irenicism” and “indifferentism” is that ecumenism becomes the attempt to draft a “social contract” whereby the parties involved negotiate patterns of relationship and common action. If this is the case, ecumenism deviates into a “praxis-ology”, i.e. a discourse exclusively revolved on practices aimed at creating a better world. Although this is not the language of the Pope, one can say that unity runs the risk of becoming an idol, an absolute, a self-referential project that makes unity a means to its own ends. There is a tendency in ecumenical circles to become so passionate about unity to the point of forgetting that unity is not an isolated item in God’s plan for the church and the cosmos. Biblical unity is always qualified by truth even though it may lead to recognize lasting fundamental differences with other people. Here Ratzinger does not talk about Biblical unity. The unity he envisages is a kind of unity which is coherent with RC tradition which he defines as “the Divine truth that speaks to us through the Word of God”. In RC theology the Word of God is a very elastic and dynamic category including the written Bible, oral traditions, the magisterial teachings, and the living tradition of the Church. The Word of God is much more than Scripture alone. For Ratzinger, RC ecumenism is called to be coherent to the whole of this Biblical and extra-Biblical tradition. The basic reference points between Evangelical and Roman Catholic views of unity are different, yet they find a convergence in being serious about questioning an ecumenism of “being nice” to one another and of “transforming the world together” (my expressions, not Ratzinger’s). Beside expressing concerns about possible ecumenical pitfalls, Benedict XVI does not shy away from indicating what is the real issue in ecumenism today. Here it is important to be note that he is speaking to a Vatican institution whose task is to offer a theological service to the Church. So he is concentrating on the theological foundation of unity. “The crucial problem is the structure of Revelation – the relationship between Sacred Scripture, the living Tradition in the Holy Church and the Ministry of the Apostles’ successors as a witness to the true faith”. In a nutshell, the Pope provides a summary of the real ecumenical issue according to Roman Catholicism. It is the complex nexus between Revelation, Scripture, Tradition and the Church. Revelation has its own “internal structure” which RC ecumenism should give voice to and preserve. Benedict summarizes it in a question form: “How does the truth of God come to us?”. The answer to this question contains the crux of ecumenism. The exegesis of this question should be the starting point and the guiding principle of any meaningful ecumenical dialogue. The issue is therefore ecclesiological, but it is much more than that. It goes directly to the heart of the RC vision touching on various fundamental doctrines all intertwined and organically connected. In some ecumenical circles, e.g. the Evangelicals and Catholics Together initiative, it is common to find people saying that Evangelicals and Catholics basically agree on the Triune God, Revelation, Salvation, and the moral Christian vision. What still divides them is the doctrine of the church. The tendency is to separate theologically the doctrines at stake as if they were unconnected pieces of a jig-saw. Here the Pope is saying something totally different. He is saying that ecclesiology depends on and is nurtured by a much wider theological vision. Ecclesiology is a reflection of Revelation which in turn is enacted in Scripture, in Tradition, and in the ministry of the Church. So ecclesiological differences are not merely ecclesiological but belong to the basic structure of the respective faiths. Interestingly, Ratzinger approvingly gives an example of a well pursued ecumenical dialogue according to RC principles. It is the recent provision for Anglo-Catholics who desire to be in full communion with the RC Church. There the “crucial problem” has been solved. Does he mean that other dialogues are intended to be stepping stones toward the same end?